Used another sweater pattern as a template. I had to make a number of changes to the pattern, so I'm not linking here. Purchased online from Textile Garden in the U.K. It's intentionally a bit big (Braydon is 13 months old) so that he can grow into the sweater. Wow. This is wonderful. 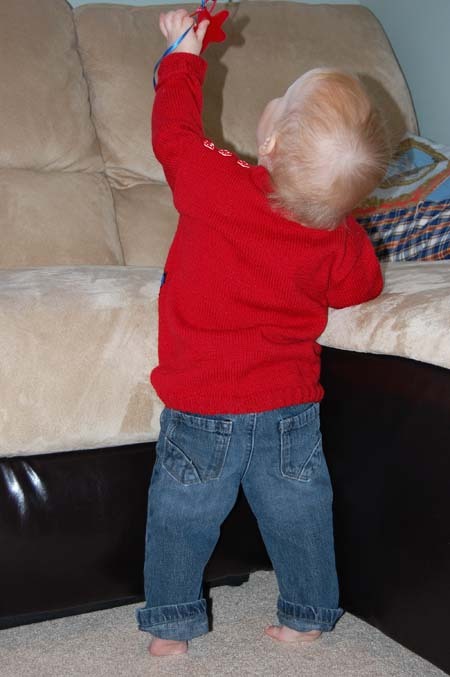 Braydon is so cute and the red is just perfect on him. Nice job with the Smurf. I was once Smurfette for Halloween. Love them all! 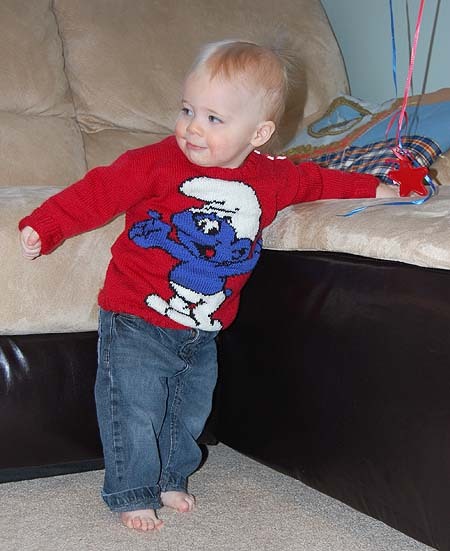 The real Smurf is just as cute as the sweater, even if he is not blue. How precious --sweater and grandbaby!! !